We recently had the pleasure of making a very memorable custom men’s band. This particular customer went outside the box and came to us with a very unique design. He wanted us to make two bands interlock into one. We never made anything quite as intricate before, but gladly accepted the challenge. With our exceptional in-house design specialists, and skilled jewelers, we knew it would come out just perfect. We previously custom-made the bride’s engagement ring and matching wedding band which were made in 950 Platinum, 14K white gold, 14K rose gold and 14K yellow gold. 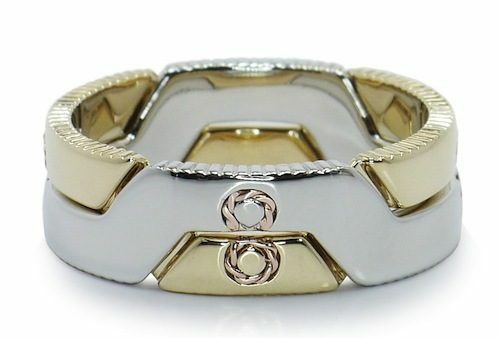 So to match the bride, the groom’s band was made in 14K rose gold, 14K yellow gold and 950 platinum (in place of white gold). 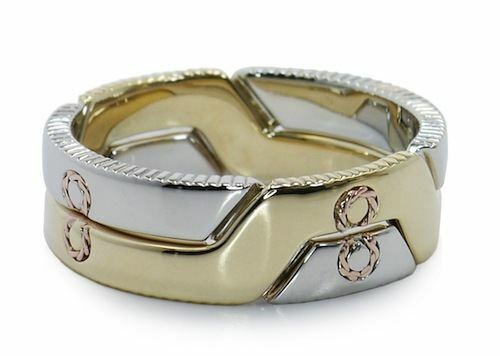 Each band, one in 14K yellow and the other in 950 platinum, featured coin edging and infinity signs on each side that became one as they intertwined. 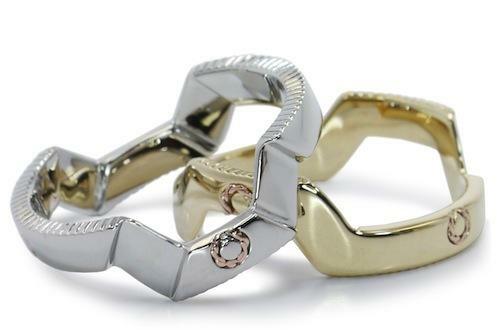 The infinity signs were set in 14K rose gold and were made to look like workings of a machine. Of course the easy part was designing it, which only took three rounds of revisions between the customer and our design team. Once the customer approved of the design, we began casting it. But the real challenge was having our jewelers hand engrave all the details and, of course, having the two bands come apart without damaging or scratching the band. Luckily, no challenge is too hard for our master jewelers. 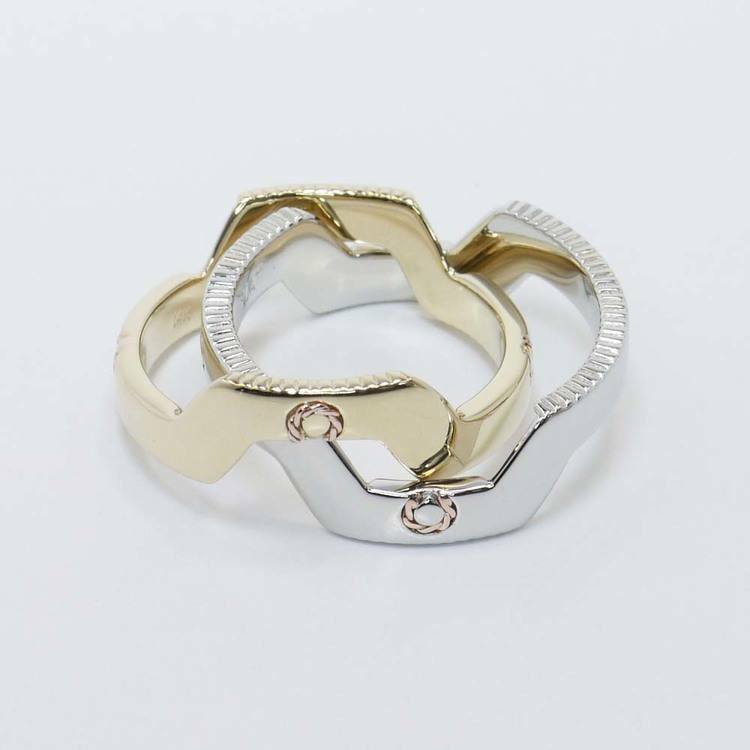 They were able to hand engrave the infinity signs, add coin edging on the top and bottom of the bands and even figured out a way to have both bands separate without ever scratching or damaging the two pieces. The band came out better than we had hoped for – just another satisfied Brilliance customer! Do you have a custom piece you would like us to create? Contact us today to get started, 866.737.0754.